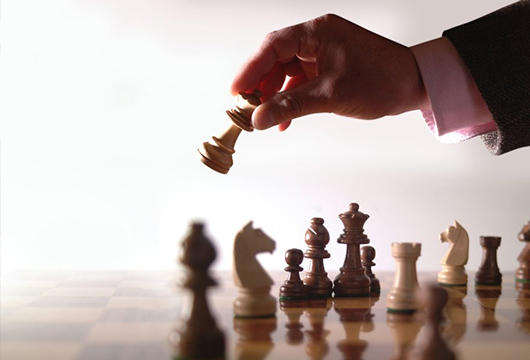 Essex offers strategic advisory consulting services to businesses in a number of different scenarios. We frequently meet companies that require differing levels of strategic expertise long before a financial restructuring or refinancing is necessary. Without a plan that considers the breadth of available financing opportunities, companies often take short term measures to shore up their balance sheet. Such terse decision-making, perhaps reacting to pressure from an existing lender, can hinder long term growth plans and substantially restrict a company's ability to optimally perform in the future. The Essex team brings proven advisory expertise in varying industries over more than 100 years of collective corporate finance experience. The firm approaches each client engagement with outside objectivity, bringing fresh ideas, often learned from similar scenarios in past transactions. The end goal is to help clients overcome challenges, achieve their objectives, and identify areas to improve their financial performance. Advisory opportunities include financing and acquisition concepts, sales strategy, business development and the implementation of procedures to drive business efficiency. Essex provides a comprehensive range of consulting services to meet diverse business requirements. The firm is committed to serving as a trusted partner, and we bring an approach that pairs strategy with execution to maximize business potential. These functions frequently require Essex to use management's information and compile a detailed financial forecast which evaluates capacity, cash flow, liquidity and provides framework for a refinancing plan. Because Essex is not engaged in the execution of M&A or equity capital raises, our strategic advisory services allow us, when appropriate (and with objectivity) to introduce clients to the best suited advisor to manage M&A execution or raise equity. An attractive option for clients is often to stay with their existing lender even when there has been a difficult history together or a currently strained relationship. Essex has successfully renegotiated numerous credit facilities with many clients' current lending institution, resulting in a restructured loan agreement and improved terms, some including a principal discount, that better matches the cash flow forecast of the company. The Essex objective always centers on providing clients with savvy strategic advisory services specifically tailored to fit each entity's most pressing issues.